Allaying international concerns over China’s new maritime policing policy in the disputed West Philippine Sea (South China Sea), the Chinese Foreign Ministry has clarified that interdiction powers or the possible boarding of ships by Chinese authorities would be limited to "a narrow coast zone." Chinese Foreign Ministry spokesperson Hua Chunying said in a recent press briefing that the new rules implemented by Hainan province on Tuesday would be limited to waters extending only 12 nautical miles (22.2 km) from its coast, according to a Reuters report. In a cautious response, the Philippines’ Department of Foreign Affairs (DFA) said it was seeking further clarification of the new policing law as Hainan, the Chinese province closest to the disputed Spratlys island chain, has claimed jurisdiction over contested territories and waters. 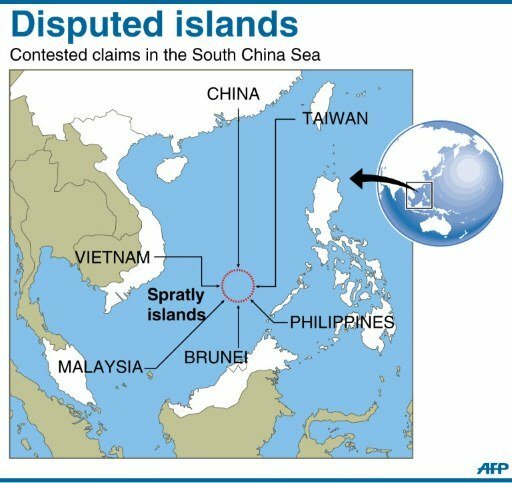 "Was [China’s foreign minister] referring to the coast of Hainan island or some other coasts over which Hainan province considers it has jurisdiction?," DFA spokesperson Raul Hernandez said, in apparent reference to the contested territories over which China had earlier declared jurisdiction. In China’s press briefing, Hua said: "What I want to stress is that these local rules were formulated by the Hainan provincial government to strengthen border controls over the coast and maritime management,"
Hua said the policing law, announced by Chinese state media in November, was geared strictly toward maintaining peace and order along its coastal waters, an important international trading route. The Philippines calls part of the surrounding waters the West Philippine Sea to bolster its claims to isles and rock formations within its exclusive economic zone. China, on the other hand, established Sansha City on one of the Spratly islands as a Hainan prefecture last year to administer all of the Spratlys, a move that has drawn international criticism. China also said it was planning to infuse $1.6 billion in the city to build infrastructure, including air and sea ports. Defusing tensions somewhat, Hua said the new Hainan rule did not expand the scope of a 1999 regulation stipulating limits to the enforcement powers of the local authorities. "Their aim is to tackle crime at sea and maintain peace on the seas. There is no change to the scope of how these rules are used compared to the 1999 rules,” she said. The DFA said it had asked China for official clarification of Hainan’s new policing law soon after it was announced in November, but the foreign office had yet to receive a response.